MEDIATE is an ERC-funded digital humanities project, based at Radboud University (The Netherlands), that seeks to study the circulation of books and ideas in eighteenth-century Europe by drawing on a unique database of 2000 - 3000 eighteenth-century private library auction catalogues. Scholars of intellectual history have long focused on a small number of canonical authors and conceptual frameworks in studying societal change during the Enlightenment. Historians of the book have, for their part, often privileged radical, subversive or forbidden texts. Yet ever since Daniel Mornet launched the history of the book approach a century ago, historians have recognized that it was authors who were not radical or subversive who produced the best-selling texts of the 18th century. This project aims to move beyond the present corpus of texts and models that dominate the field, and propose a new model of the eighteenth-century literary system in Europe, that engages productively with the heuristic concept of middlebrow culture. Developing an interoperative, Open Access database, the MEDIATE project will, firstly, and in close collaboration with other existing historical bibliometric databases, harvest data from a corpus of catalogues of smaller private libraries sold at auction in the Dutch Republic, France, Italy, and the British Isles between 1665 and 1830. MEDIATE's central hypothesis is that, to adequately understand the spread of ideas and books associated with the Enlightenment movement, it is crucial to understand how these books were embedded in the cultural field at large. 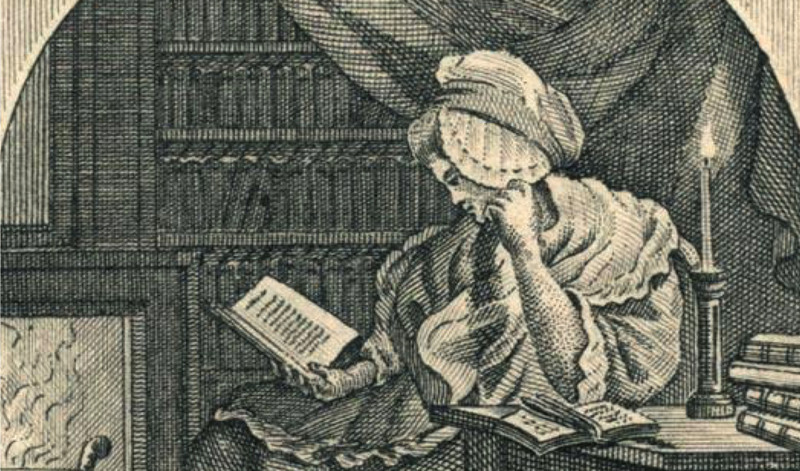 Writers are significant not only as individuals, but just as importantly, as part of a larger literary system of eighteenth-century authors, most of whom are unknown to us today. To understand the cultural impact of any individual author's texts, we need to view these as part of a complex literary system, or set of relations between higher- and lower-prestige texts, geographic regions and languages, and between authors closer and farther away from centres of cultural authority. By focusing on private libraries, MEDIATE further aims to address the Enlightenment from a reception viewpoint, studying not only the circulation of books but also potential readers. The project posits that book ownership, regardless of whether books listed in private catalogues were actually read, and even if catalogues fail to reflect the full extent of an individual's book ownership or reading during a lifetime, provides important indications about intellectual aspirations, processes of (posthumous) self-fashioning, relative prestige assigned to specific books as a form of cultural capital, and booksellers' evaluation of books' monetary worth. Secondly, the MEDIATE project will lay the foundations for a typology of the corpus of best-selling works during this period describing their generic traits, intended readers, relation to major political and religious debates, and how readers in different parts of Europe may have appropriated these texts through translations, reworkings and other uses. Finally, the project examines how historiography came to define the Enlightenment as the work of an intellectual elite, downplaying the impact of middlebrow texts and readers. The MEDIATE project thus brings a bottom-up approach to intellectual history, using book history data and new digital tools to argue that the Enlightenment was fashioned not only by the progressive intellectuals we know today, but just as importantly, also by a large mass of forgotten books - "the great unread", as provocatively described by Margaret Cohen - that need to be adequately studied if we are to truly understand how we "became modern" (or not). A fuller description of the project's aims and conceptual framework can be found here.